With warmer weather peeking through the clouds, a trip down to your local off lead dog park can be a rewarding and fun experience for both you and your pooch. These outings can however be easily spoilt by an overzealous or undersocialised dog, or by owners that a lack an appropriate level of control. It’s important to understand the limitations of your own dog, to ensure a trip to the park is a pleasant and safe experience for everyone. Can they be trusted to reliably recall to you from off lead? Do they socialise well with other dogs and are they likely to avoid conflict that may occur? The following tips are a simple start point that will help you introduce your dog to the off leash world and ensure he or she is going to be welcomed back next time! Pick up after your dog: Many dog parks are filled with ‘landmines’ that can make for an unpleasant experience. If your dog makes a mess, clean it up, simple as that. Most parks will supply bins and bags, so make sure you make use of them. 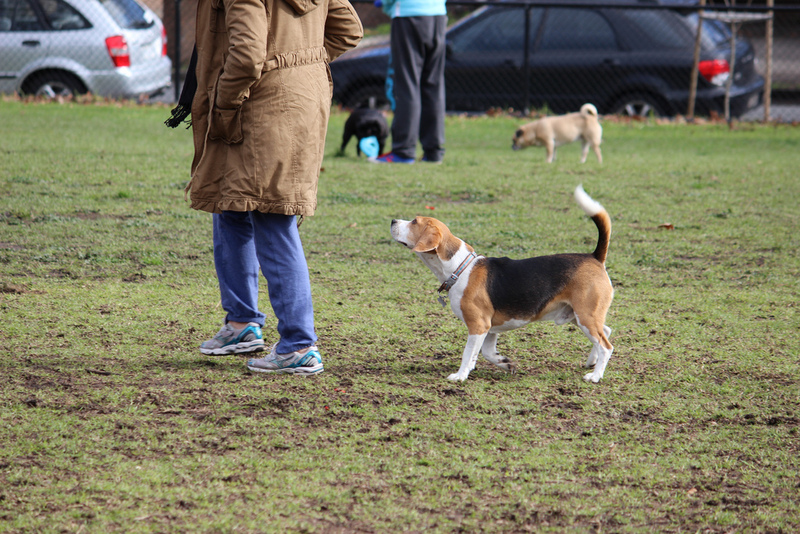 Don’t stand around and chat: The dog park is a great place to head out with your friends or to make new ones; however, while you are standing around chatting, your dog may be getting up to mischief! Have a walking conversation and stay close to your dog — that way you can keep an eye on them and the other dogs around them. Pay attention to your dog: Never assume that all dogs at an off lead park are friendly, well trained and sociable. Keep an eye on your dog, where they are and what other dogs are around them. This way you can avoid fights or negative experiences. The dog park should be fun and relaxing for both of you. If you or your dog are uncomfortable at any stage, it may be time to head home and find another way to burn off that excess energy. Ask before giving out treats: Check with other dog owners if you really want to give their dog a treat; they may be on a diet, be sensitive to certain foods or not allowed to have freebies (treats without working for them). Of course it is OK to treat your own dog, but do it discretely, as food can be a catalyst for scuffles. You may end up with a whole pack of dogs following you around the park for treats! Train your recall: Often the hardest thing about going to the park is trying to get your dog back to you so you can head home. A good, strong recall is a must for off lead locations, so start by training this at home and then in quiet areas outside. A recall can also be very important for times when you need to remove them from potential dangers.